Wow. Talk about an ambitious little novella. This book is packed with enough examples of demons and sin to turn your church going grandma into a slavering maniac. When I read up on it, and Faust's other works, I knew I was going to be in for something special. I'm stoked to report that with Regret, I wasn't let down at all. 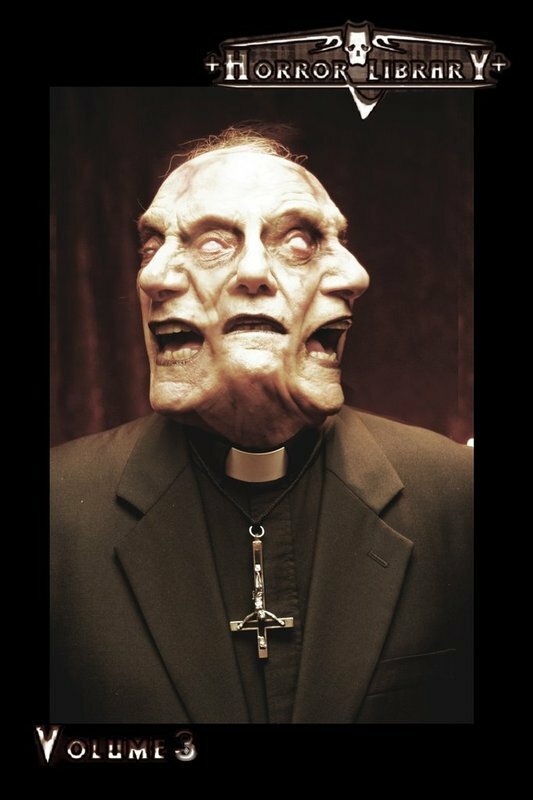 Humanity is renowned for placing the blame for their most unspeakable actions in the palms of their "demons". It would seem that for every crime, every indecency there is a minion of the Underworld assigned to it. The lucky ones balance precariously on the edge of damnation, always managing at the last minute to halt their impending doom. The unlucky ones succumb entirely or, in Marcus Glenfield's case, find themselves following a much darker parth than they ever would have imagined. After a strangely brutal twist of fate, Marcus becomes his own inner demon, that of the Demon of Regret. As he begins his new life as a tempter and collector of mortal souls, his path of damnation unfortunately crosses with that of Sonnellion, the Demon of hatred; Cresil, the Demon of Slovenliness; Vetis, the Tempter of the Holy; and finally Belial himself, the Prince of Wickedness. Through each of his interactions, Marcus gleans valuable insight into the purpose of his fellow demons within the greater hierarchy of existence, assisting his personal mission to collect the one soul that continues to preoccupy his every thought. However, will the wisdom of Hell's ancient minions be enough to save him from a deadly encounter with Belial, or does Hell have another plan for Marcus altogether? That's quite a synopsis, isn't it? It looks as if you've gotten the whole story, but deep within this 140 page novella is something far darker that any blurb can actually single out. Faust writes beautifully, with a seasoned artist's touch and a flair for the dramatic. Her descriptions dance across the page in a flow that feels both elegant and brutal. The depictions of gore are wet and juicy, the dark and squalid surroundings in some of the settings are completely tangible, and the oppressive emotion regarding the varied sins you'll come across in the novella are incredible. Rich, full fleshed and disturbing images abound in this piece of work. It's like reading the literary equivalent of a deliciously dark painting. The demons that appear in this book are phenomenal in description and design. The beginning of each chapter features a wicked picture of the demon to be featured in the following chapter. All of the drawings were done by the Author, making this novella a huge treat to those who love their art as much as their literature. Seriously, Faust has such a handle on so many facets of the genre, I'm not even going to hesitate to say that this is someone who is going to go very, very far. Faust's writing is tight, making this book incredibly hard to put down. I was disappointed to see it end, but incredibly pleased that the author had left it open for future volumes. I'm looking forward to following Marcus' adventures in the underworld. Check out Faust's website here. You can also follow her on Twitter and Facebook. 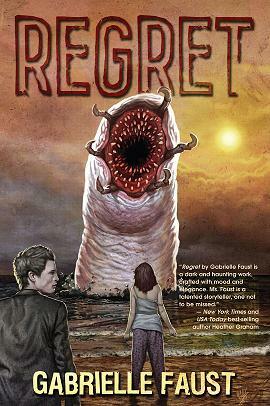 You can pick up a limited edition copy of Regret in October 2010 at the Dark Regions website, here. I've read my fair share of horror compilations and anthologies, but rarely do I encounter a collection as well fleshed out as this. 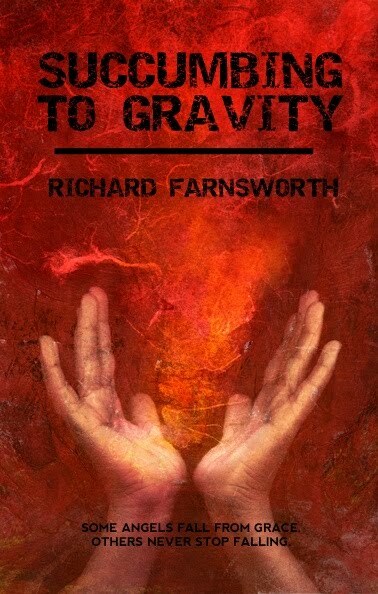 R.J. Cavender really went all out with this volume, presenting 30 interesting, unique, provocative, and - at some points - truly terrifying short stories to keep you up at night, and make you look at the world in a different way. There's no real way to synopise something like this, but I can tell you that you're not going to waste your money if you pick this one up. The players involved run from little known authors, all the way to the more frequently seen names of the genre. Cavender and Boyd E. Harris start things off right with Lavese las Manos - an introduction that reads like a story itself. In fact, I thought I was reading a lead off story until the end, as what they present here are some seriously scary, chilling images of the world we live in. Them, by Sunil Sadanand, tells the story of a man infected with a parasite not unlike the hairworms that you might find infecting/brainwashing an insect. Sadanand's take on this is obviously more intense - replacing the insect host with a human - resulting in an awesome display of his descriptive prowess. Short Stacked, by Rodney J. Smith, a wicked little story about betting more than you can afford on a game. I loved this one. Smith's writing style is great and reminded me of Ketchum and some of the early Splatterpunk writers. Being Supreme, by Mark Justice, gives us a little taste as to what it's like to sit down with God. A funny and dark little story - this one won't leave your brain any time soon. The Station, by Bentley Little, has a great feel - written by a true master of the macabre. Little has given us a new perspective to think from when faced with the eternal question - what happens when we die? Truly unique. Extra Innings, by John Peters, is a superb little story about a baseball team that never loses, and how far they will go to prove that. This was really a great treat, as I've rarely ever come across anything so refreshing and interesting in a horror anthology. Fish Bait, by John Everson, is an awesome story that really has to be read by all. 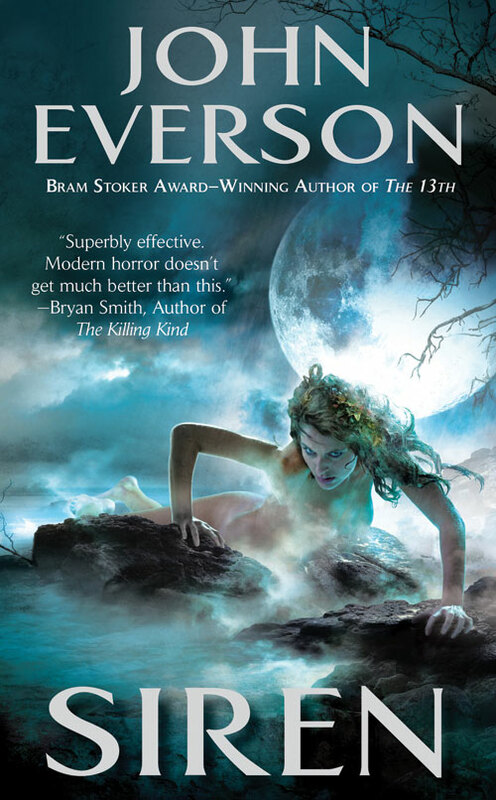 Everson's take on a backwoods little town and their dirty little secrets was a shining point in this book. I absolutely loved it. The Apocalypse Ain't So Bad, by Jeff Strand, was - hands down - my favorite story in the whole book. A very funny, sarcastic, and...well...Jeff Strand take on the end of the world, from the perspective of a lone survivor. The world has been overrun with zombies, and the main character finds himself in several interesting situations. Personally, I think Strand should turn this story into a novel. You'll agree once you read it. I have to say something about the cover here. I don't usually talk about artwork on this site mainly because I'm focussed on the content of the book itself - not the cover. But seriously, this series has some of the most incredible covers I have ever seen. 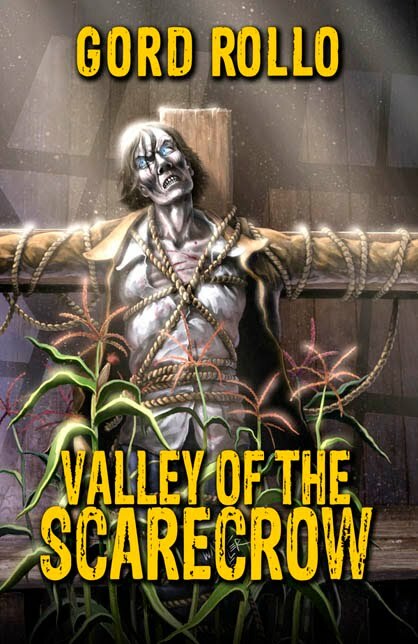 The cover of Volume 3 (as you can see above) features a 3 faced priest with an inverted cross hanging from his neck. If that image doesn't stay with you for life, you've got to be blind. From what I've seen, every cover is incredible, and I would have these in my collection just for that fact alone. Overall, this book is incredible. At no point did I feel I was reading the work of an amateur, and every story evoked something strong from me. Cavender has shared a really impressive set of stories with us. I would wholeheartedly suggest this to anyone who likes short stories. Check out Cutting Block Press at their website. You can buy the book direct from them, and on Amazon and various other online retailers. 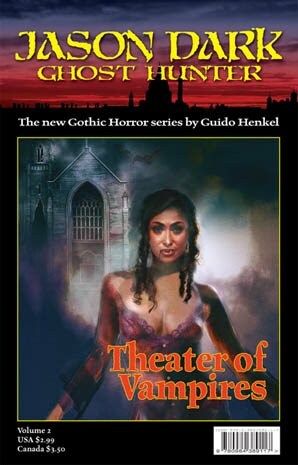 Also available - Horror Library volumes 1 & 2. Look for Volume 4 to hit the streets in Early Fall 2010. Submissions for Volume 5 are now being accepted for a publication date of 2011 in Trade Paperback Format. Usually, after I finish a book, I like to let it sit and stew in my brain so I can gather my thoughts, you know, really get a grip on how I felt about it. When it comes to The Jake Helman Files I find that impossible. Read on and see why. They’re not breathing. That’s why they’re so still. But that’s not possible . . .
Eleven months after battling Nicholas Tower and the demon Cain, Jake Helman has set up shop as a private investigator in Lower Manhattan. When a woman hires Jake to prove that her dead grandson is dealing a deadly new drug called “Black Magic” on a Brooklyn street corner, Jake uncovers a vicious drug lord’s plot to use voodoo to seize control of the city. While panic grips New York City, Jake Helman battles gun-wielding zombie assassins, hallucinations, and betrayal at every corner. But voodoo creates more terrors than zombies, and Jake finds himself poised on the edge of insanity as he fights to restore the soul of the one person he trusts. The first chapter of this novel alone is worth every single moment of aguish that I experienced waiting for the follow up to Lamberson's first novel in The Jake Helman Files - Personal Demons. The following 27 chapters (plus epilogue) sealed the deal, leaving me utterly satisfied and yet still jonesing for the next installment. Lamberson has really outdone himself this time around, solidifying Jake Helman as one of my all-time favorite characters in horror today. Seriously folks, cross genre fiction doesn't get better than this. Like the previous book, it's go - go - go from the start, blending equal parts frenetic comic book style, and seasoned police procedural thriller. Lamberson delivers the goods early on, setting up characters that play beautifully against Helman, while hurrying the story along in a quick and dirty way. The way that the author blends the back story in is also remarkable, as it doesn't detract from the current read in the least. You'll feel like you already know what went down in the first book, making this one just as good as a stand alone novel. It would be my suggestion that you read the first though, as it has some incredible scenes that you really shouldn't miss. Now, I've mentioned before that Lamberson has a way with giving the invested reader a severe emotional beat-down of sorts. That is also very much the case with this book. In fact, there was a point where I had to put the book down for a moment - the scene was so shocking and came out of nowhere. Like I said in the Frenzy Way review, when you fall in love with a character in a Lamberson story - something bad is going to happen to them. I'm going to leave it at that. If you're someone who loves Jake Helman, you're going to be in for some serious surprises here - but man is it satisfying. The overall feel of the book is very much the same as the first. The only difference here is that Lamberson has really tweaked his story arcs, tightened up his dialogue, and really given his all to the development of every facet of the story. I wouldn't be wrong to say that this is the best piece that Lamberson has presented to his reading audience. In fact, the only bad part of the book was the blank page following the end of the story. I walked away from this book completely satisfied and ready to take on Cosmic Forces upon it's release in October 2011 - from Medallion Press. You can read more about The Jake Helman Files at the Medallion Press website and on Lamberson's personal website. If you're looking to contact Lamberson, check him out on Facebook, Twitter, and on LiveJournal. Lamberson and Medallion Press are hosting an interactive signing on Saturday, September 11th. The cost is $18 (the purchase of the book) and will include a chatroom and live webcam feed. 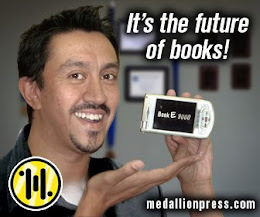 He will personalize the book, and Medallion will ship it to you on Monday. Readers who take part will receive their copies of Desperate Souls 2 weeks in advance of the public. Register for the signing here. Also, it should be noted that Audible.com has purchased the rights to both Personal Demons and Desperate Souls for audio books. As a fan of that medium, I really couldn't be more excited.